Convictions for drug possession and drug trafficking often arise as a result of the search and seizure of an individual’s person or property for drugs. However, these types of searches may only occur where a police officer or investigator has “probable cause” to support the search. This is because the United States Constitution provides protection against unwarranted search and seizure. A recent case in the Wisconsin Court of Appeals illustrates the limits on prosecuting individuals for drug crimes where a search and seizure is deemed unconstitutional. In State of Wisconsin v. Demario Derrick Foster, an unpublished opinion, Foster was arrested on multiple counts of drug offenses. At trial, he moved to suppress evidence obtained from a search of his person, arguing that the police officers lacked probable cause to arrest him. Foster was first brought to the attention of local police officers through information from two informants. The informants reported that Foster had a handgun that he kept tucked inside a black backpack that he always carried, as well as drugs that he kept in the backpack and in his pockets. Foster had previously been convicted of felonies and, thus, could not legally be in possession of a handgun or drugs. Based on the information provided by the informants, the police conducted a sting operation on Foster, asking the informants to attempt to purchase crack cocaine from Foster. 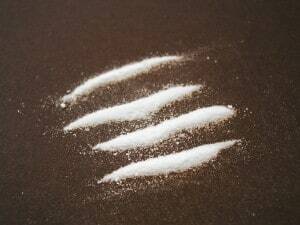 The informant appeared to successfully do so and provided cocaine to the officers. However, the officers were not in observance of Foster’s actions the entire time and could only listen to communication between Foster and the informant, which consisted of only “normal talk.” Shortly after the informant handed over the drugs, the police arrested Foster and searched him. They found marijuana and cocaine on him. Based on this information, the circuit court denied the motion to suppress and Foster appealed. On appeal, the court of appeals considered the “totality of the circumstances” within the police officers’ knowledge to determine whether they had probable cause to arrest Foster and search him. According to Foster, the police lacked probable cause because they had not observed any drug transaction taking place at the time they arrested him. They only had the possibly unreliable testimony of informants to justify the arrest and search. The court of appeals agreed. It noted that although the police planned a drug buy with the informants, they had not actually observed the buy and knew only that the informants had met with Foster and later provided cocaine to the police. According to the court “the fact that the informant picked Foster up and dropped him off as planned only created the possibility that the planned drug transaction had occurred, but did not confirm it. Without the confirmed buy, the police were relying solely on the statements of the informants, whose testimony they could not confirm was reliable, and such unverified information could not support probable cause. Accordingly, the court of appeals reversed and remanded the conviction of Foster. If you were charged with a drug crime in Milwaukee and are concerned that the search and seizure of your person or property violated your constitutional rights, you should discuss possible remedies, including a motion to suppress, with a skillful criminal lawyer as soon as possible. To speak with an experienced Wisconsin drug crimes attorney, contact the law offices of Reddin & Singer, LLP through our website or give us a call today at (414) 271-6400.